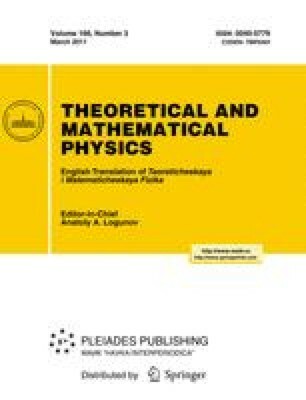 We consider one-phase (formal) asymptotic solutions in the Kuzmak-Whitham form for the nonlinear Klein-Gordon equation and for the Korteweg-de Vries equation. In this case, the leading asymptotic expansion term has the form X(S(x, t)/h+Φ(x, t), I(x, t), x, t) +O(h), where h ≪ 1 is a small parameter and the phase S}(x, t) and slowly changing parameters I(x, t) are to be found from the system of “averaged” Whitham equations. We obtain the equations for the phase shift Φ(x, t) by studying the second-order correction to the leading term. The corresponding procedure for finding the phase shift is then nonuniform with respect to the transition to a linear (and weakly nonlinear) case. Our observation, which essentially follows from papers by Haberman and collaborators, is that if we incorporate the phase shift Φ into the phase and adjust the parameter Ĩ by setting \( \tilde S \) = S +hΦ+O(h 2),Ĩ = I + hI 1 + O(h 2), then the functions \( \tilde S \)(x, t, h) and Ĩ(x, t, h) become solutions of the Cauchy problem for the same Whitham system but with modified initial conditions. These functions completely determine the leading asymptotic term, which is X(\( \tilde S \)(x, t, h)/h, Ĩ(x, t, h), x, t) + O(h). Translated from Teoreticheskaya i Matematicheskaya Fizika, Vol. 166, No. 3, pp. 350–365, March, 2011.